Cyndi Ralston, a second grade teacher running as a Democrat for House District 12, concedes to her opponent. It’s about 9 p.m. in Coweta, a rural town south east of Tulsa. The election results are still trickling in as Cyndi Ralston, a second-grade teacher -turned Democratic political candidate, steps on to the stage in the small event space where she’s having her watch party. 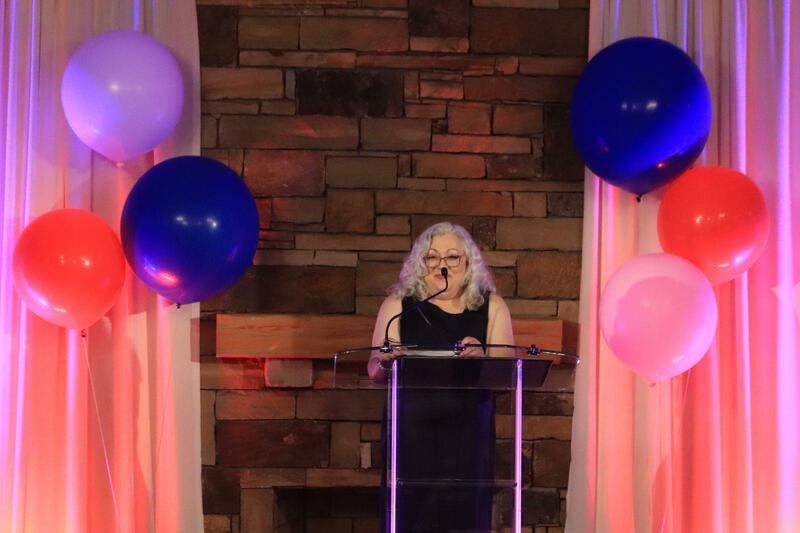 Framed by red, white and blue balloons, Ralston tells the crowd of about 30 supporters why she decided to run for the House District 12 seat. She thanks everyone for their support and concludes her speech — and her campaign — by conceding to Republican incumbent Kevin McDugle. Before she steps down though, she has one last comment. “We will not let them do what they have done,” she said, promising to remain a vigilant watchdog over the legislature and make sure school funding remains a priority. “We are watching them and we will call them out every single time,” she said. Election Day was the end of an intense, seven-month political fight for Oklahoma teachers. Since the walkout in April, they worked to oust incumbents they felt did not support public schools, and to elect new government officials who they hoped would be more supportive. Some educators even ran for office themselves: About 100 former and current teachers and administrators put their names on the primary ballot. Roughly half made it to Election Day — only 17 won Tuesday night. The 2018 election results disappointed many. Short said it seemed like there was so much support for education issues and education candidates during the 2018 election, so she expected more teachers to win their races. She was also pulling for Democratic gubernatorial candidate Drew Edmondson because she believed he was the stronger advocate for public schools in that race. He lost, too. Short thinks Democratic candidates like Ralston and Edmondson didn’t win because many Oklahomans are very conservative, and won’t consider voting for anyone who’s not a Republican. “When the teacher walkout took place, a lot of people were in support of it. But what it came down to was partisan voting, and people just straight party voting,” she said. Two Democratic incumbent lawmakers who are former teachers also lost their bids for re-election: Representatives Karen Gaddis of Tulsa, and Donnie Condit, of McAlester. The OEA counts 25 lawmakers in office that come from an education background, whether that be a teacher or school administrator position. Sixteen are Republicans, nine are Democrats. Deven Carlson, an education policy researcher at the University of Oklahoma, agreed that teachers shouldn’t be discouraged about the election results. Next year’s Legislature will include more than 50 new faces, and most of the lawmakers who voted against a $450 million tax package to fund teacher pay raises are no longer in office. Many lost their re-elections, others stepped down from politics. And Carlson said just because most new lawmakers aren’t coming to the capitol from the classroom, doesn’t mean they won’t support public schools. “If you look at the political evolution over the past six to eight months, it’s possible to put together a much stronger case that the voters have expressed preferences about what they want out of their politicians with respect to education,” he said. 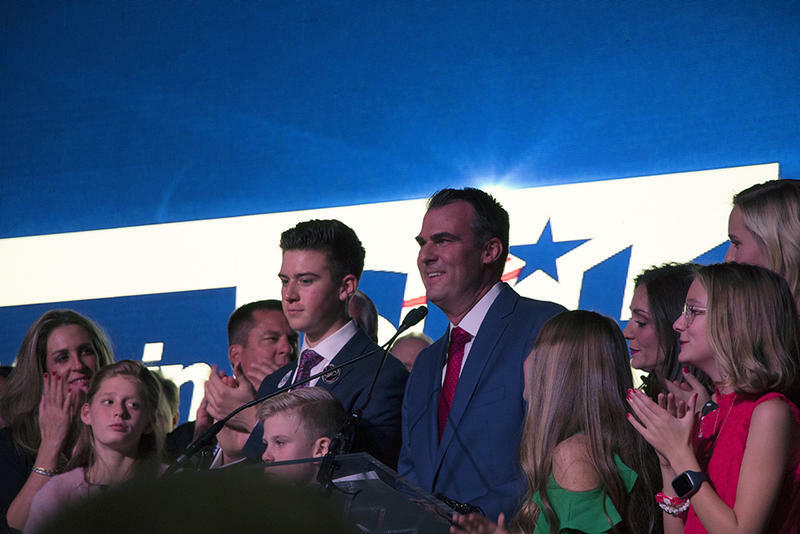 Republican Kevin Stitt has defeated Democrat Drew Edmondson and Libertarian Chris Powell to become Oklahoma's next governor. The Tulsa businessman is a political newcomer who largely campaigned on his business background. With nearly 89 percent of the vote tallied, Stitt leads Edmondson as the top vote-getter by a margin of 54.7 percent to 41.9 percent. 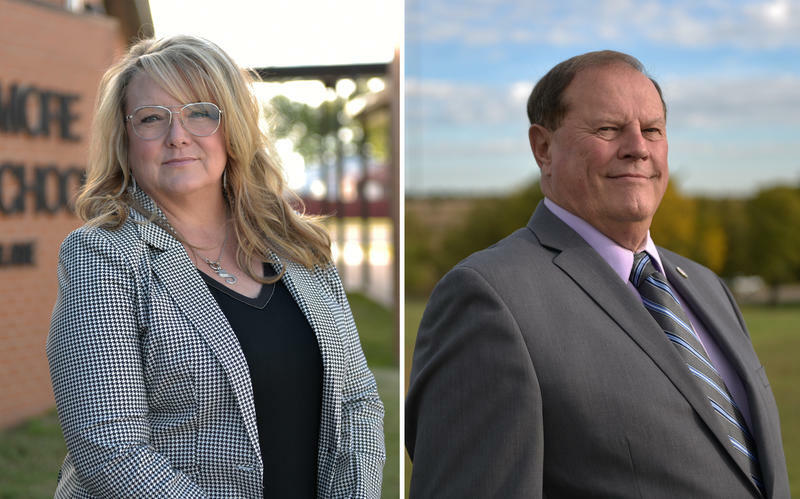 Oklahoma educators Sherrie Conley and Steve Jarman each remember the exact moment they decided to run for office. It was April 2, the first day of that state's teacher walkout, and thousands of educators had swarmed the Capitol in Oklahoma City, demanding more school funding and higher wages. 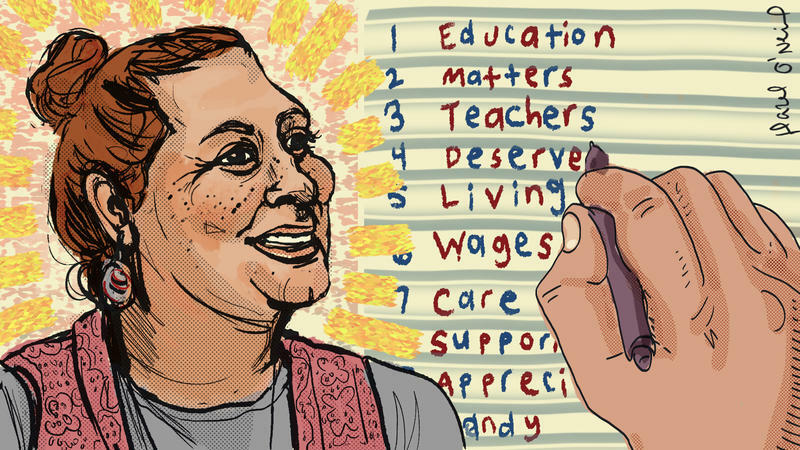 Andrea Brawdy, a special education teacher at James Griffith Intermediate School in Choctaw, Oklahoma, just received the first pay raise of her 12-year teaching career: $414 more per month. Getting this raise was no small feat. Even after teachers around the state demanded a substantial pay increase, they still left their classrooms to take part in a two-week long teacher walkout at the Capitol building this April. They wanted to bring attention to their demands: better pay, better benefits, and better treatment of teachers.